A Pair of Early Views of the Isle of Wight. 6 1/2 x 8 1/2 inches. Both panels bearing early labels inscribed in ink. 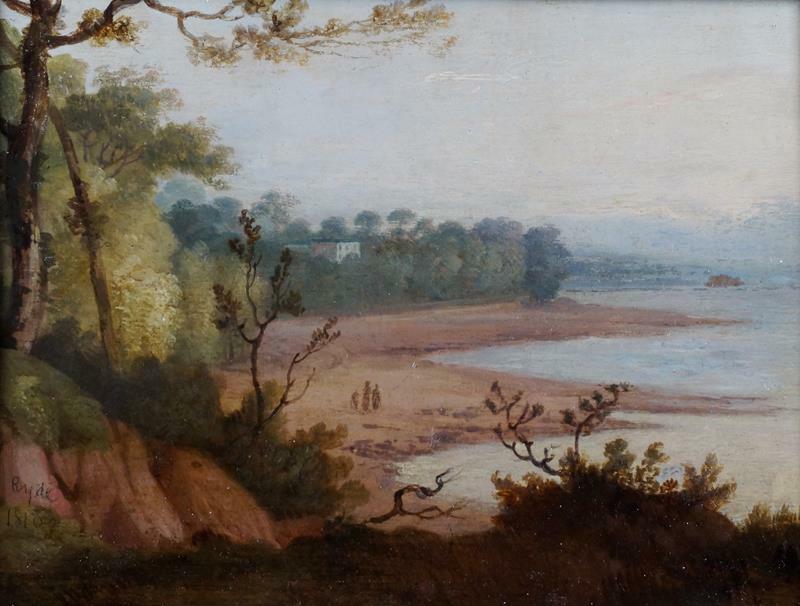 One inscribed "View of West Cowes Isle of Wight Painted by Calcott about 1790". The other inscribed "A View of Ryde Isle of Wight painted by Calcott (..... of Portsmouth) about 1790". Both panels inscribed in ink "Mr Porter" and other inscriptions beneath labels. Both paintings inscribed in pencil in a later hand. One inscribed "Cowes I of W 1810" the other "Ryde 1810"